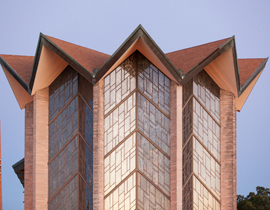 Graduate School admissions team provides different options throughout the year to visit campus and explore life as a graduate student at Valparaiso University. Please view our current visit options below. We are excited to personalize your visit this spring and summer whether you are seeking more information, applying, or enrolling in 2019 or beyond. Experience a customized agenda that fits your needs. Meet with a graduate admissions professional to help answer your questions and engage your interests. Financial aid advising available upon request. 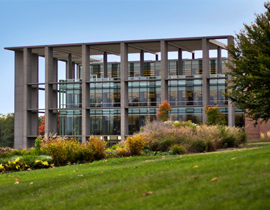 See for yourself why Valpo has a nationally recognized academic reputation. Our faculty are eager to meet and help you accomplish your career goals and advance your education. 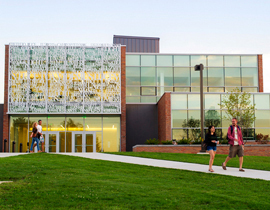 Take a 30 – 60 minute walking tour of campus attractions and explore state-of-the-art facilities such as the Christopher Center Library, Harre Union, Center for the Arts (VUCA), Chapel of the Resurrection (optional), and anything connected to your program of interest. Meet with financial aid staff to discuss paying for graduate studies. 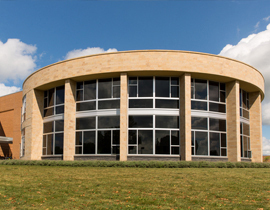 If you are personalizing your visit, it will begin in Kretzmann Hall Administration Building, the first building on your right after entering campus from U.S. Hwy. 30. Visitor parking is in Lot 1 or 2. Proceed to the north lobby to check-in at the Graduate School reception desk. Visitors receive application fee waiver. Schedule today with with a graduate admissions professional by calling 219.464.5313 or emailing gradapply@valpo.edu.